This picture shows a 1953 version. 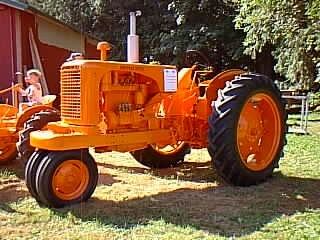 Sheppard Diesel tractors first appeared around 1950 and offered three different models. The SD-3 had a 3-cylinder engine, the SD-2 had a 2-cylinder engine, and the SD-4 had a 4-cylinder engine.